If your computer is used by other people than you and you want to block access to certain programs or windows applications to gain more privacy within your computer, then it's easy to lock apps using a free tool called AppLock by Smart-x company. This tool allows you to protect your favorite programs from being ran by others while you keep your privacy safe. 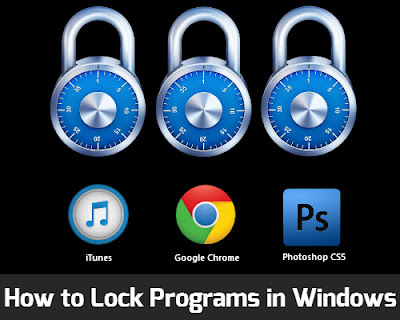 So here's a tutorial on How to Lock Programs in Windows with 1 Click. 3. Launch AppLocker from your desktop, it will list all Windows Applications : Calculator, Internet Explorer, MS Paint and many others.